1. 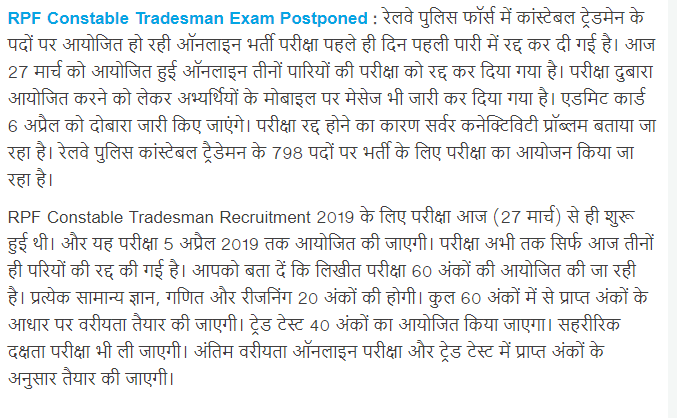 In order to download the Railway RPF Constable Tradesman Answer Key 2019Candidates have to go to the link provided below in the link section. 2. After getting the link candidates need to open the link of the answer key/Sheet. 3. After that candidates will be redirected to a new page of login details. 4. Candidates have to fill their Roll Number, Date of Birth, Batch, and Captcha code in the required blocks. 5. After filling all the details correctly candidates have to click on the submit tab for downloading their answer key/sheet. 6. Candidates can also download their answer key from the official website of Indian Railway Protection Force.